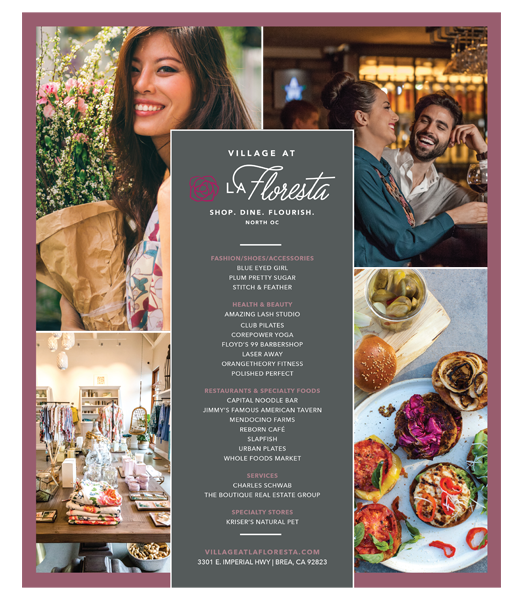 Village at La Floresta — Modera Inc.
Regency Centers expanded their shopping center property portfolio with the development of the Village at La Floresta. The center serves as a dining, shopping and lifestyle destination for a master-planned community in Orange County. Modera was brought on to help with the branding and launch of the center to the nearby residents and establish Village at La Floresta as a unique place to experience the latest in fashion, fitness, dining and much more. 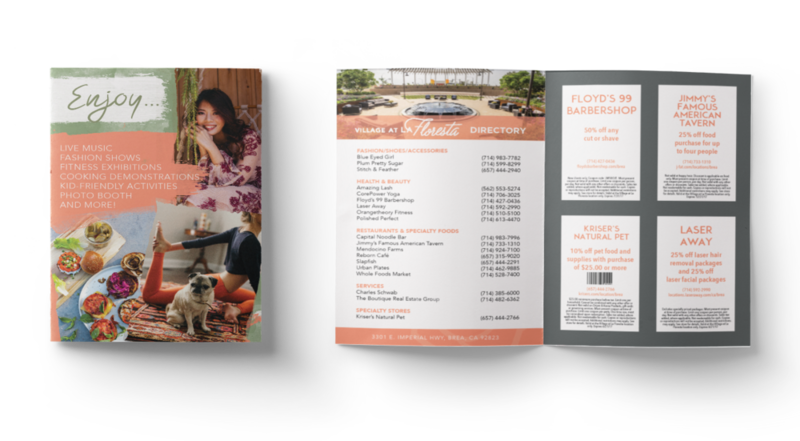 Modera rolled out the new brand identity by designing a direct mail piece introducing the center to the area residents, and launched the center with a grand opening event, onsite collateral pieces as well as both print and digital advertising.